Gathering telemetry data is only effective if this data can be collated, interpreted and actioned simply, effectively and in a timely manner to improve business decision making. Remote – Data Network Analysis (R-DNA) is a web-based toolkit that collates and interprets data from telemetry applications, simply and effectively so that information is instantly available in a format that is easy to export, analyse and share. 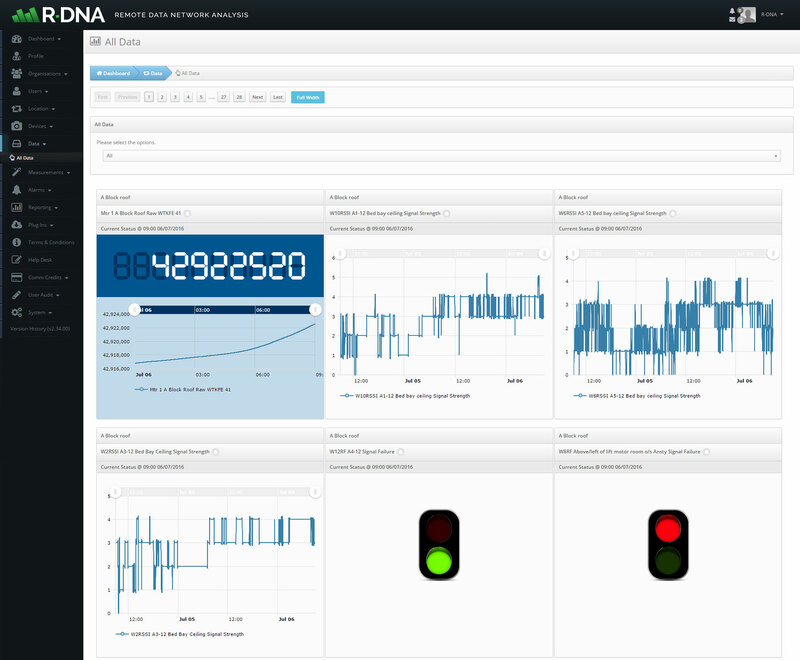 R-DNA enables businesses to generate real insight from telemetry data instantly. Data is collated from multiple sites and formatted by R-DNA into a database. The collated data can then be displayed in user defined tables or in a graphical report. R-DNA is designed and built around interaction with our RDNA-Assist device though is 100% compatible with any device capable of sending CSV or XML data files via FTP, Direct IP Connection or HTTP/HTTPS POST. Typical deployments include monitoring of industrial automation, utilities, asset tracking or building management. Examples of applications could be the collation of tidal information to track trends, measurement of water levels at reservoirs, power measurement in factories or temperature measurement in retail outlets or offices. R-DNA can collate information from one single source or from many hundreds of connections, across both analogue and digital channels. R-DNA collects, collates and analyses data received from any compatible device, wherever it is, and delivers it into a database format where the information can be analysed quickly and effectively. 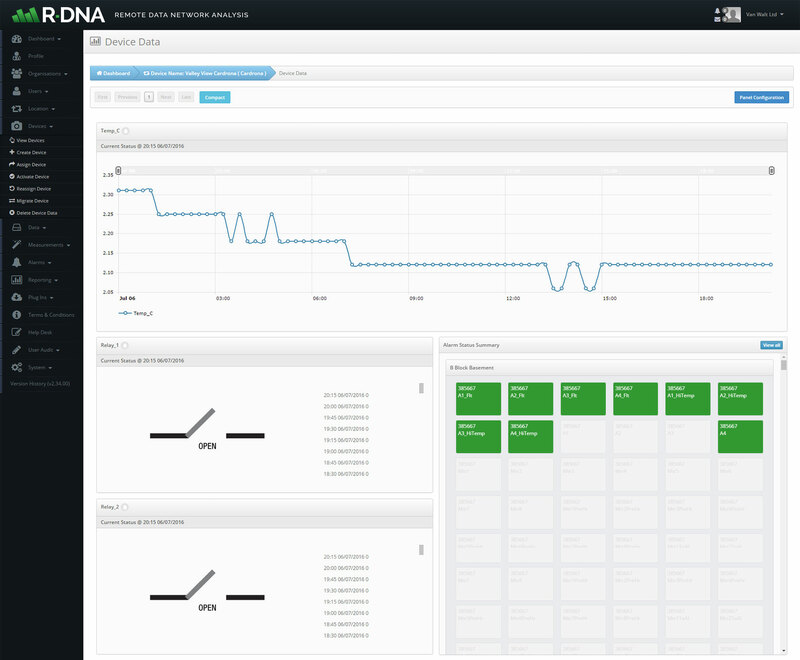 R-DNA operates as either a cloud based subscription service or can run on a dedicated server depending on requirement. 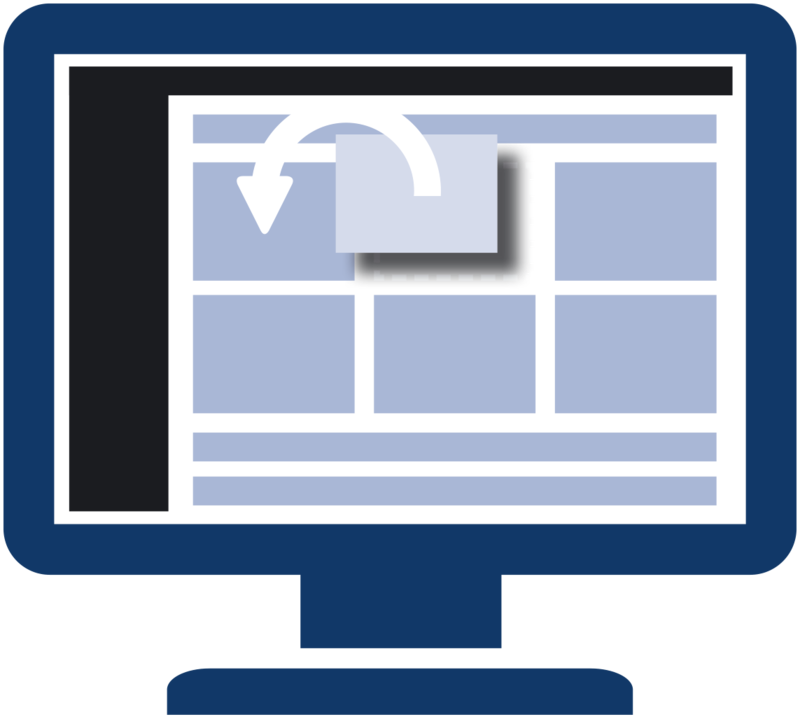 Our cloud based offering is typically suitable for those users with a handful of devices or measurements, the service is fully automated and as the end user you can be up and running within minutes. 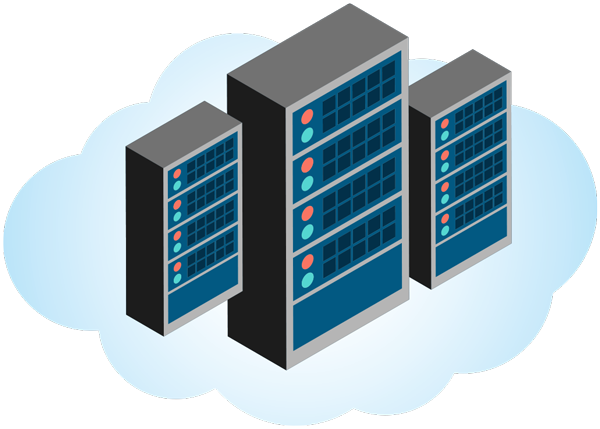 Our dedicated server server option is for those users who are looking to deploy many devices and perhaps looking for some bespoke functionality also. R-DNA is completely scalable and flexible to suit any application. Full granular access control for individual users. 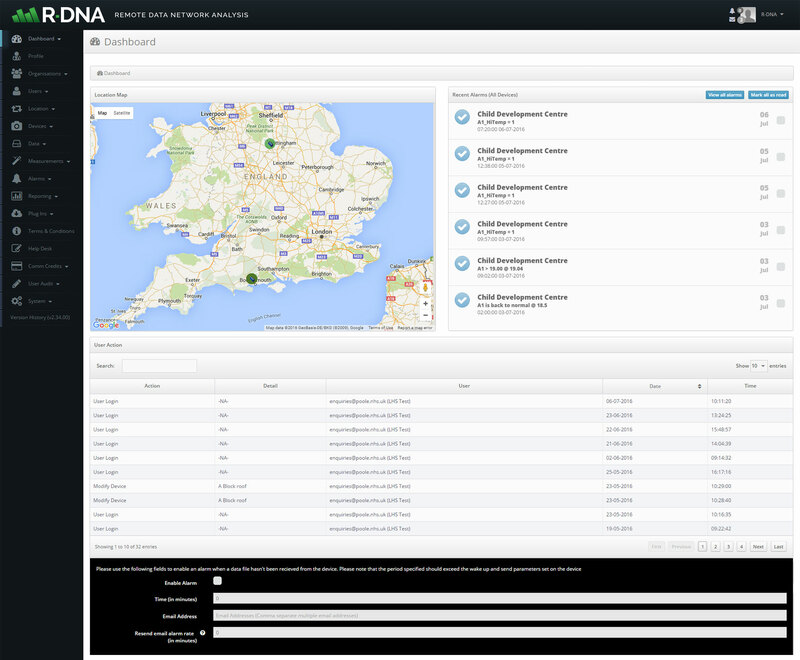 The R-DNA dashboard is fully customisable and utilises our snap in widgets. Below are some examples of what can be achieved.